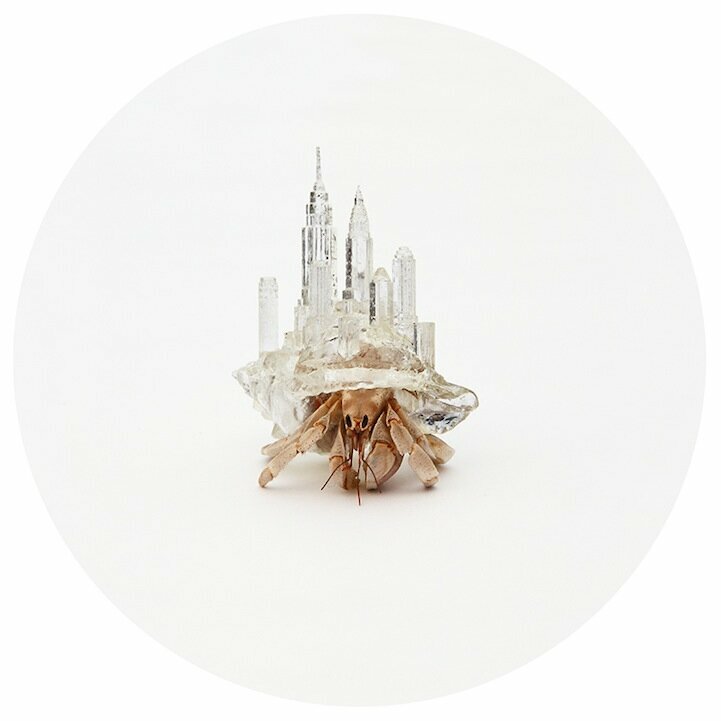 Japanese artist Aki Inomata has turned hermit crab shells into a work of art thanks to 3D printing technology. 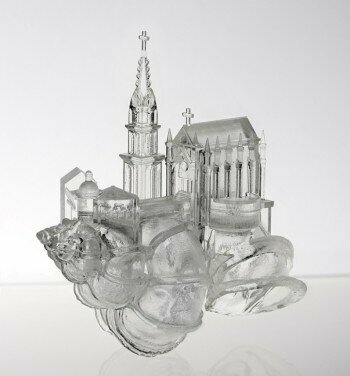 Her previous hermit shell collection featured miniature cityscapes done in clear acrylic. 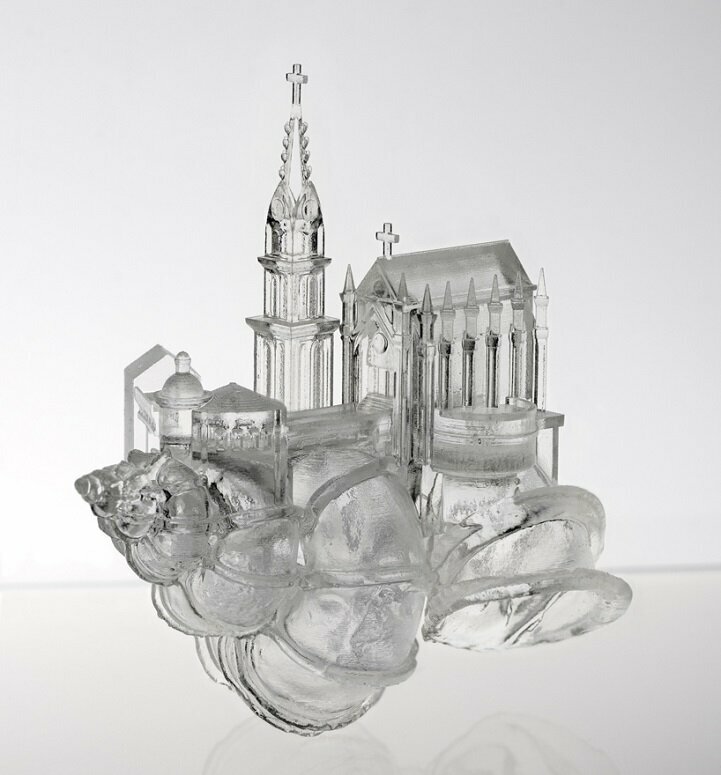 Her latest work explores Japanese wedding chapels, buildings built for the express purpose of couples getting married. The chapels vary in design and are usually painted white. For Aki’s shells, she chose to remain in clear acrylic allowing the hermit crab’s anatomy to peek through. Although the shells may look uncomfortable, Aki actually went to great lengths to scan hermit crabs and learn about their shell needs to make a snug-fitting and ergonomic fit for the creatures. She also created a video showing the hermit crabs in their wedding chapel homes (above).